Mission. We educate future leaders and citizens with a global perspective, conduct research and scholarship of international significance, and share our knowledge to benefit Iowa, the nation, and the world. The College of Liberal Arts and Sciences is the university's core college, providing the educational foundation for all Iowa State students. We are deeply committed to student success, helping students acquire the intellectual depth and breadth to become knowledgeable, inquisitive, and creative citizens and leaders, ready to address the challenges of the 21st century. We embrace discovery and creativity as part of what it means to be human, and as essential activities to ensure a sustainable future for our planet and its inhabitants. We conduct world-class research at the most advanced scientific and societal frontiers, seeking new discoveries, innovative applications, and new technologies in a socially responsible manner that integrates scientific findings with the unique historical, cultural, and political environments of communities across the globe. True to the university’s land-grant mission, we share our knowledge with a wide range of audiences, to the benefit of Iowa, the nation, and the world. Vision. We will be a national and international leader in ensuring life-long student success through high-quality teaching, experiential learning, and academic support. We will be a national and international leader in conducting and communicating impactful research and scholarship, seeking to transcend traditional academic boundaries and benefit humanity and our planet. Over the course of their lives, our students will encounter societal and technological challenges that are currently unimagined. Many of them will work in professions and jobs that have not yet been invented. We will sharpen their communication, critical thinking, inquiry, and ethical decision-making skills. We will help them build the content knowledge, scientific, digital, and cultural literacy, intellectual curiosity, and personal maturity to succeed in a rapidly changing and globally connected world. The well-being of tomorrow’s society depends on the discoveries, insights, and innovations of today. Many of the great challenges of the 21st century addressing our needs for water, food, community, energy, health, and a sustainable environment have been clearly articulated; other challenges remain as yet unknown. Our faculty and students will embrace the full spectrum of human creativity, innovation, and empathy to address these challenges. We will lead the nation and the world in integrating scientific, technological, cultural, and historical perspectives in order to arrive at the most sustainable solutions, of the greatest benefit to our societies and the planet. The LAS Strategic Plan encompasses goals related to providing high-quality educational opportunities for all ISU students, ensuring the relevance and applicability of LAS degree programs to help students be successful in the world and in addressing global challenges, and maximizing the impact and competitiveness of LAS faculty and student research activities. In addition, LAS is focused on increasing the effectiveness of LAS communication and outreach programs. A commitment to diversity, inclusion, and cultural competency drives all of our activities, as we prepare students to live and work successfully in a diverse, globally connected world. To accomplish these broad goals, the strategic plan articulates four key focus areas. 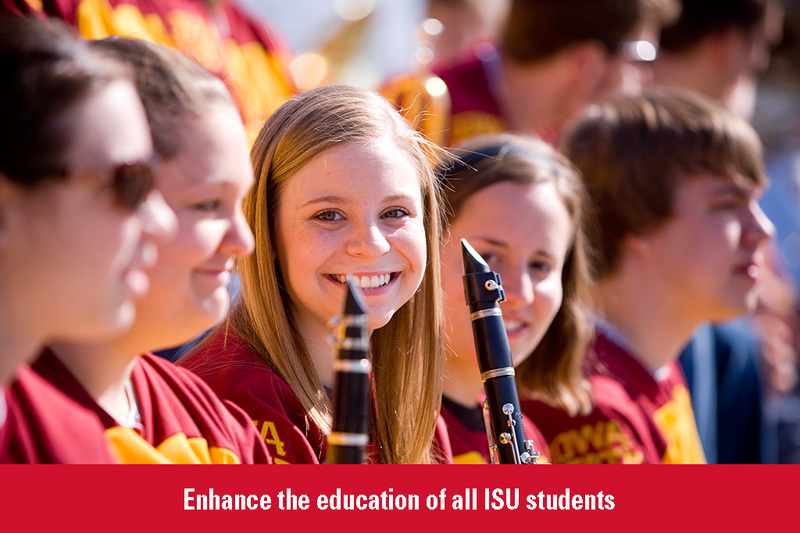 Enhance the education of all ISU students. LAS will evaluate and supplement general education offerings to provide students of all colleges at ISU with the educational breadth and flexibility that they need to compete and succeed in a changing global environment. 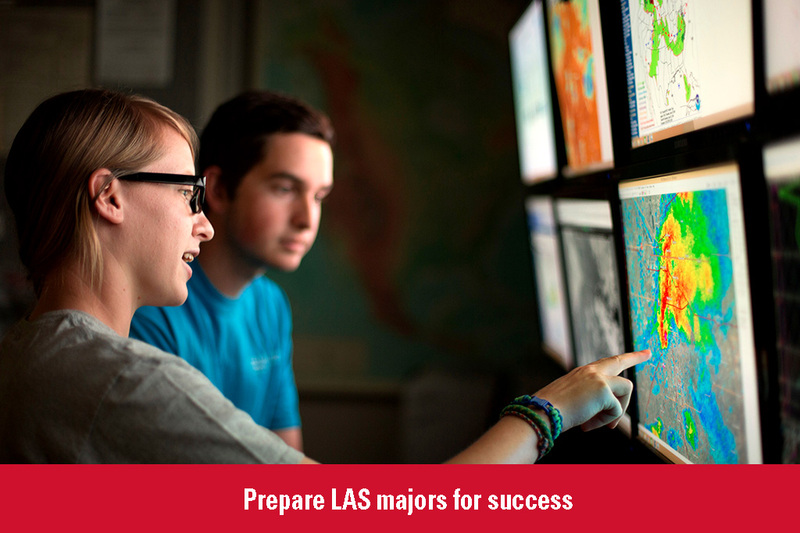 LAS will also offer high-impact experiential learning opportunities and value-added degree options for all majors. Prepare LAS majors for success. The college will ensure the relevance and applicability of LAS degree programs to help LAS students be successful in their professional and personal lives. LAS will provide high-impact educational activities and support services from college entry to career launch. The college will also proactively seek to recruit and retain an increasingly diverse faculty and student population. 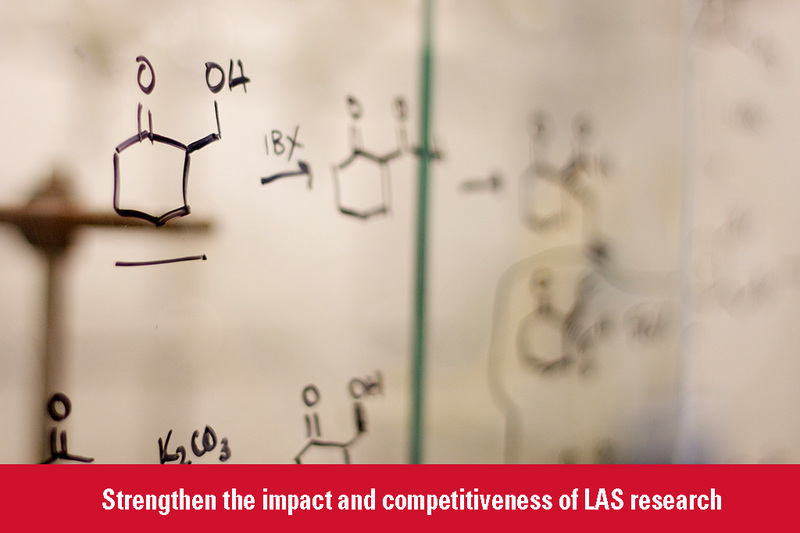 Strengthen the impact and competitiveness of LAS research. LAS will increase its efforts to secure research talent, strengthen interdisciplinary research collaborations, identify opportunities for undergraduate research participation, foster relationships with research funding agencies, and share more broadly the research accomplishments of LAS faculty. Engage with our partners on campus and around the world. The college will enhance the effectiveness of LAS communications and outreach programs. LAS will cultivate and expand relationships with other ISU colleges, alumni, businesses, and community partners. The LAS strategic plan sets forth specific objectives toward achieving these goals. It is complemented by a list of metrics to assess progress and a list of short (one year) and medium (three years) action items. Download a printable copy of the plan.